The truth is that scientists around the world are now creating bizarre hybrid “animals” on a regular basis. Over the past couple of decades the field of genetic modification has made extraordinary advances, and now researchers and scientists seem very eager to exploit these new technologies. So what kind of weird, mysterious creatures have scientists been creating? Well, what would you think of a cat that glows in the dark? A genetically modified cat named Mr. Green Genes was the very first fluorescent cat created in the United States. Under an ultraviolet light, Mr. Green Genes puts off a very strange bright green glow. So perhaps in the future not only can your cat cuddle up to you and keep you warm – it could also serve as a night light. But U.S. researchers were not even the first ones to do this to cats. A team of scientists in South Korea had previously created a cat that glows red under ultraviolet light. Now why in the world would scientists do this kind of a thing? But scientists have created creatures that are even more bizarre than fluorescent cats. One Canadian company is actually producing spider goats. Yes, it is true. 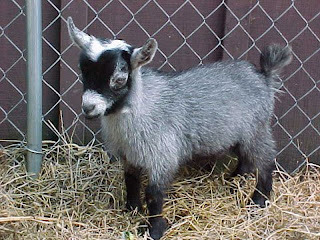 A Canadian company known as Nexia has created goats that are genetically modified to be part spider. The reason for this bizarre genetic modification is to get goats that will produce spider silk protein in their milk. This spider silk protein is then collected, purified and spun into incredibly strong fibers. Reportedly, the fibers that are produced are more durable than Kevlar, more flexible than nylon, and stronger than steel. This substance has industrial and military applications that are apparently extremely valuable. But when you tell most people that spider goats exist they will just laugh at you. If that is the response that you get when you tell someone about spider goats, just show them the following video. The YouTube video posted below contains a television news report that discusses how these spider goats are created and what this company is doing with the spider silk that these spider goats are producing…. So does all of this tampering with the environment disturb you? After all, at least scientists are not creating human/animal hybrid creatures, right? 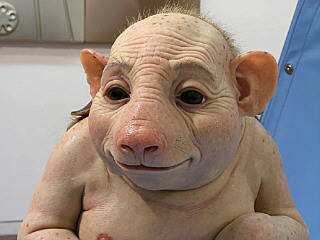 The truth is that human/pig hybrid creatures will soon be legally grown inside of the United States. This is being publicly announced and almost nobody is getting upset about it. 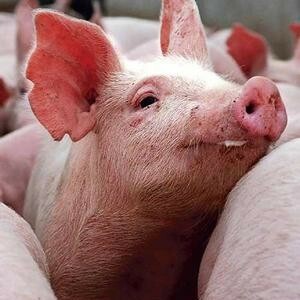 What is being described as a “cutting edge” new program will actually produce pigs with human genes in them. These hybrid pigs will be “grown” in order to produce organs for transplants into humans. Perhaps it would bother you more if you knew exactly where these pigs are to be grown. That’s right – human/pig hybrids are going to be raised right in the middle of the United States. So is it possible that such creatures could end up in our food supply? You don’t think they would ever do that to us? The FDA has already announced that the offspring of cloned animals could be in our food supply right now and that there is nothing that they can do about it. Of course they have plenty of time to conduct military style raids of Amish farmers, but apparently they have no time to figure out if our food supply is tainted by cloned animals. In fact, the FDA has said that it is basically a non-issue to them. Of course most Americans eat tomatoes with roach genes in them and most Americans eat corn with insecticide grown inside of it on a regular basis, so why should we get upset about what is in our meat? So does any of this seem incredibly evil to you? That is because all of this is incredibly evil. Creating bizarre hybrid creatures is not a new thing. Did you know that the 3000 year old book of Jasher (a book of ancient history that is quoted in the Biblical books of Joshua and II Samuel) speaks of genetic engineering that was going on in the days of Noah? It is true. How they did it remains a great unexplained mystery, but according to ancient sources this is apparently what was going on. Jasher 4:18 tells us this…. According to the book of Jasher, God was not pleased at all that they were corrupting the wonderful environment that He had created for all of us. This mixing of animals is also reflected in the ancient book of Enoch. The book of Enoch is directly quoted by the book of Jude in the New Testament, and it tells us a great deal about what was going on in the world before the Flood. Enoch 7:14 tells us this…. So apparently they were not only mixing animals together – they were eating them too. Just like we are starting to do. But instead of learning the lessons of the past we are making the same mistakes. We think that we are so “technologically advanced”, but the reality is that we are just indulging in the same foolishness as they did in the ancient world. So what is so wrong with genetic modification? The truth is that once you let the genie out of the bottle you can’t put it back in. We have found that out with genetically modified crops. Natural strains can literally be bred into extinction once strains of genetically modified crops become widespread enough. We may think that we are improving the environment through our reckless experimentation, but what if our best efforts go horribly, horribly wrong? The unintended consequences of our reckless genetic meddling may be far worse than any of us ever imagined. The reality is that God said not to mix plants and animals together like this. But we are doing it anyway. Hopefully we are not completely destroying the one and only earth that we have in the process. Pope Benedict XVI , making his comments during an audience with airport workers and officials at the Vatican on Sunday, did not specifically use the words body scanner in his address, according to reports in U.K. newspapers the Daily Telegraph and the Guardian. “[With] every action, it is above all essential to protect and value the human person in their integrity,” he told the representatives from the aviation industry. The United States began using the scanners capable of detecting items hidden under clothing at airports as part of new security protocols put in place in the wake of the failed bombing attempt on a flight from Amsterdam to Detroit on Christmas Day. Canada and European countries have followed suit and begun installing their own scanners, particularly for flights destined for the United States. The Pope is not the first religious leader to speak out against the scanners. You don’t have to be ready to commit to a full overhaul of your online lifestyle to understand why someone might want to yank their data from Google’s servers, and hand it off to someone else: You’ve got Google’s CEO deafly rehashing fallacious arguments about privacy—”If you have something that you don’t want anyone to know, maybe you shouldn’t be doing it in the first place”—and hesitating on a drawback; you’ve got contextual advertising that seems just a little too closely tuned to that sexxxy love letter your girlfriend sent you while you were on that business trip; you’ve got that violently insane ex husband who now knows where you are because of Google’s clumsy Buzz rollout. Most of all, you’ve got reasons, and you’re ready for change. The decision to close your Google account has to be carefully considered—after all, this is the place that stores your email, your documents, your contacts, your photos, your news, and even your health records. But this level of investment to one service is as good a reason to leave as it is to stay: If looking at your Google Dashboard, which lists all the services you use, and the amount and type of information you store on them, doesn’t make you feel a little uneasy, then hell, what would? Anyway, I’m not here to make the case for you to drop Google altogether—it’s not something I’m prepared to do, for a start—I’m just here to tell you how to do it. Here’s everything you need to know about life after Google. It’s easy to forget that there are other search engines in the world, because Google has been so plainly dominant over the last few years. But they’re there, and they’re actually pretty good. The best alternative to Google, by a long shot, is Microsoft’s Bing. It’s an evolution of the Live search engine, and it’s offers a distinctly different experience than Google: it’s far from minimalist, with a colorful interface, content-tailored results pages, and and emphasis on reducing clicks, rather than reducing clutter. Coming from Google it can be visually jarring, and the fact that the results for common searches are different—if not better or worse—means that at first, you’ll get the feeling that it isn’t working right. Give it some time and some patience, and you’ll realize that it’s pretty damn good. And even if search isn’t perceived as the biggest threat to your privacy, it’s important to make the switch anyway—after all, it was Google search that was the gateway to all the other Google services, which you’re now trying untangle yourself from. 4.) Enter your name and Gmail address, after which Thunderbird should find your mail settings automatically, and set itself up as an IMAP client: (If this doesn’t happen, consult Google’s guide for a manual setup. 5.) Once the account is set up, open Thunderbird’s Account Settings panel, and navigate to the Synchronization and Storage tab. Make sure “Keep messages for this account on this computer” and “Synchronize all messages regardless of age” are both selected. 6.) Wait for your messages to sync to your computer—this could take hours, especially if you’re near your Gmail storage limit. What you’ve done here is imported all of your Gmail messages into a local client—Thunderbird—which lets you browse them, search them, or back them up to an external hard drive for posterity. And if you switch to another IMAP-based service, you can import these old messages into your new account simply by dragging them from your Gmail inbox folder in Thunderbird to your new account’s inbox folder. Contacts are a trickier question, but at the very least you can use Gmail’s contact exporting tool (under your Gmail inbox folder list) to create a CSV file or or VCard, for importing into a client like Thunderbird. • The interface doesn’t look like it was designed in 1999, like certain other webmail clients. The matter of Buzz: Now, when you ditch Gmail, you’ll also be losing Google Buzz, which is a sort of location-aware status update system that nobody has really had the time to get into yet. Don’t worry: Buzz was a response to other services, not a trailblazer, so you’ll be served just fine sticking with Twitter (which lets you update you status with geolocation), FourSquare (which lets you alert your friends as to which particular establishments you visit, and see what other people think of said establishments), and Facebook (for posting media and accepting comments on it). Buzz didn’t have time to become vital, so switching away from it should be easy. • Flickr doesn’t stop at being a great photo sharing site, it’s also an amazing resource for photographers, both expert and amateur. Storage is limited with a monthly upload cap. • Facebook shouldn’t be counted out—its photo compression may be aggressive, but it does allow you to upload and tag a virtually unlimited number of photos. A lot of people find themselves using Google Docs because it’s just so damn convenient—you receive a document in your Gmail account, and suddenly, hey, it’s in the Google Docs service! That’s how they get you. And interestingly enough, despite Google’s acquisition of Writely and subsequent improvements on in the Docs service, there’s still an objectively superior online document editing service out there. ZoHo Docs is a full online office suit (among other things) which does virtually everything Google Docs can do, and often more. It offers deep document editing, offline editing (! ), and collaborative editing. Document compatibility on ZoHo is absolutely tops, and the formatting and editing options far exceed Google Docs. There’s a text editor, a spreadsheet editor and a presentation editor, to name a few. So, you’ve migrated what you can, and settled into you new services nicely. Now, it’s time to close your Google account out, once and for all? Are you ready? Are you sure? Ok.
For any grievances you may have about Google’s privacy practices, you have to give them credit for making the process stupidly easy. Feels strange, doesn’t it? For anyone with enough spite and motivation to follow this guide, though, I suspect “strange” could be replaced with any number of more gracious adjectives. So, ex-Googlers: Do you feel better now? We couldn’t cover every last Google service and piece of software, so if you have more tips and alternatives to share, please drop some links in the comments-your feedback is hugely important to our Saturday How To guides. And if you have any topics you’d like to see covered here, please let me know. Happy diversifying, folks!